Talk of a crisis at Real Madrid is over for now, but the form of Gareth Bale remains a cause of concern ahead of this weekend’s meeting with Alaves in La Liga. The Welshman was back on the bench for Wednesday’s 3-1 victory at Leganes, his involvement restricted to a late cameo as Zinedine Zidane’s side claimed a fourth consecutive win. 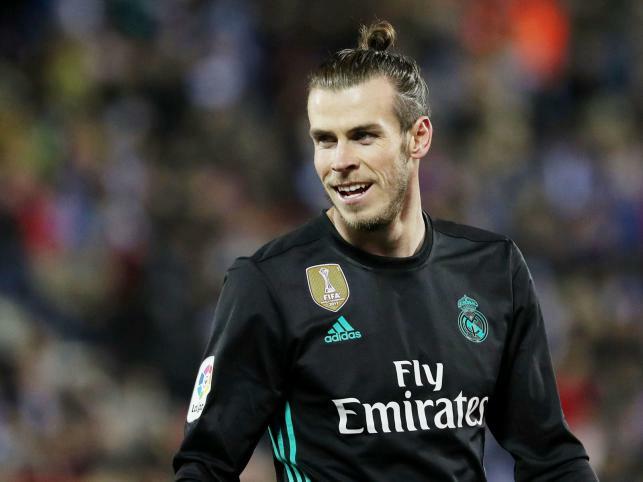 Bale had started in last weekend’s 5-3 success at Betis but failed to impress, having also been left out of the line-up for the 3-1 Champions League win against Paris Saint-Germain. He has not completed 90 minutes since September due to injury and poor form, and the Madrid media appear to have made their minds up-“Bale’s credit has run out”, said the headline in one piece in sports daily Marca on Thursday. When Zidane was asked if Bale had been left out in Leganes to protect him, the Frenchman’s response hinted all is not well. “It was a little bit of everything. I am happy with Gareth, but we need to go little by little with him,” he said. Cristiano Ronaldo was rested at Leganes but could return as Madrid look to extend a run that has seen them take 16 points from a possible 18. That form has lifted them into the top three, although they remain 14 points behind leaders Barcelona. “I never look back the way. Now we have recovered third place, we need to keep going until we get second and on until the end,” added Zidane, who nevertheless has considerable selection issues. Sergio Ramos is suspended against Alaves, while Marcelo, Toni Kroos and Luka Modric are all fighting to shake off injuries ahead of the PSG second leg on March 6. Alaves could be dangerous opponents too, thanks to a stunning turnaround under new coach Abelardo that has lifted them 10 points clear of the relegation zone. Following their 1-1 Champions League draw at Chelsea, Barcelona host Girona looking to extend their unbeaten run in La Liga to 32 matches. That would be a new club record, after their 2-0 win at Eibar last weekend saw them match the previous mark of 31 games set under Pep Guardiola in 2010/11. Seven points behind Barcelona in second, Atletico Madrid face a tough trip to Sevilla, who were unfortunate not to beat Manchester United in the Champions League in midweek. Saturday’s Catalan derby at the Camp Nou will see two Uruguayan strikers in prolific form go up against one another. Barca’s Luis Suarez has scored 17 La Liga goals this season, with 14 in his last 13 games. Meanwhile, his compatriot Stuani-his first name is indeed written that way-is in the form of his life at Girona since returning to Spain from Middlesbrough. The 31-year-old ex-Espanyol player has 13 in 20 La Liga appearances this season, including one in last week’s win over Leganes. He has formed a fine partnership in the newly-promoted side’s attack with nine-goal Portu. Stuani and Suarez have been joined by another Uruguayan, Celta Vigo’s 12-goal Maxi Gomez, near the top of the scorers’ charts. “Seeing so many Uruguayans up there is very important for us, a source of pride,” Stuani said this week.